Now that summer is on the way we always tend to want to lose weight, heck I know I do. Guess it’s the heat and its also because I see some people that look so great and are fit not to mention all those gorgeous outfits.. It truly motivates me I don’t know about you. Buying fruits and vegetables on a single mothers budget can be awfully challenging.. We want to give the best and freshest fruit and veggies we can serve our kids. I’ve shopped at many places, from the fresh green markets, deli’s , fruit stands and super markets and no one but no one beats this neighborhood fruit stand I’ve been frequenting these past few months, the place is called Valentinos. It’s located in Ridgewood Queens, borderline Brooklyn on Fresh Pond Road and Madison Street. No, I don’t get paid mentioning this I simply want to give my readers the best possible place for fresh, delicious, cheap fruits and veggies. Now, to get a great deal on fruit and veggies you must stick with what’s in season. 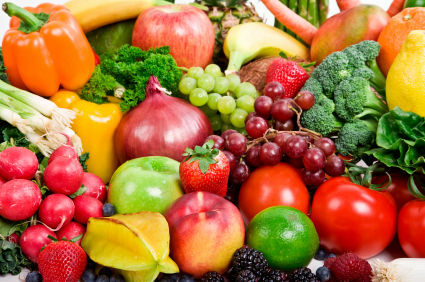 You might want to check out this page, it’ll give you the entire list of fruits and veggies available this summer season and there are lots of them to chose from just incase your child is a picky eater (http://www.fruitsandveggiesmorematters.org/whats-in-season-summer). Now, when you get to Valentino’s, try not to go on the weekend because its like you’re going for the hottest toy in christmas and you found (1) and you’re running for that last one with 10 other parents behind you running for the same thing.. I know it sounds crazy but thats how crazy it is at Valentino’s. So be patient and let the crazies go by so you can shop and get what you need. Don’t stress yourself, remember stress eguals everything else we don’t want and if you’ve read my last blogs you know what I’m talking about. There are fruits in the front right before you enter those are good and the best priced fruits available now you can also go inside but the fruits cost just alittle more. The fruits outside are just as good as the ones on the inside they’re just priced to be moved fast..I usually grab strawberries, green apples, grapes, pineapple and blueberries from the outside. The pineapple there is the cheapest I’ve ever found ($2.00) per pineapple Wow! Also, the string beans, my favorite are also beautifully priced. I love buying them, I clean them up and cook them in some spaghetti sauce sprinkle some parmesan cheese over them once their cook and your set. I guarantee, your kids will love them. I mean who doesn’t like spaghetti sauce? If you can make your own great if not the store bought one will give you the same effect. If you’re interested in learning how to make home made sauce, leave me a comment and I’ll post it. There is nothing like fresh homemade spaghetti sauce, less sodium and lots of flavor not to mention the nutritional value tomatoes offer. We must try to eat at least 5 servings of fruits and veggies a day, I know that it sounds impossible but if you just add one fruit and veggie a week to what you’re already consuming by the time you know it, you’re eating the right amount of it. Come on challenge yourself, you can do it. And now for the task of the day… Try to help an elderly neighbor, most of the time they are alone and in need of company, it could be as easy as a hello, how are you today or do you need anything. It’s about changing things around you so that your universe becomes what you want it to be don’t forget that you get what you put out..
Have a great Day and StandUpLatina and be proud!